When thinking of fencing and gate solutions for warehouse security, it’s easy to only think of the exterior of the property. 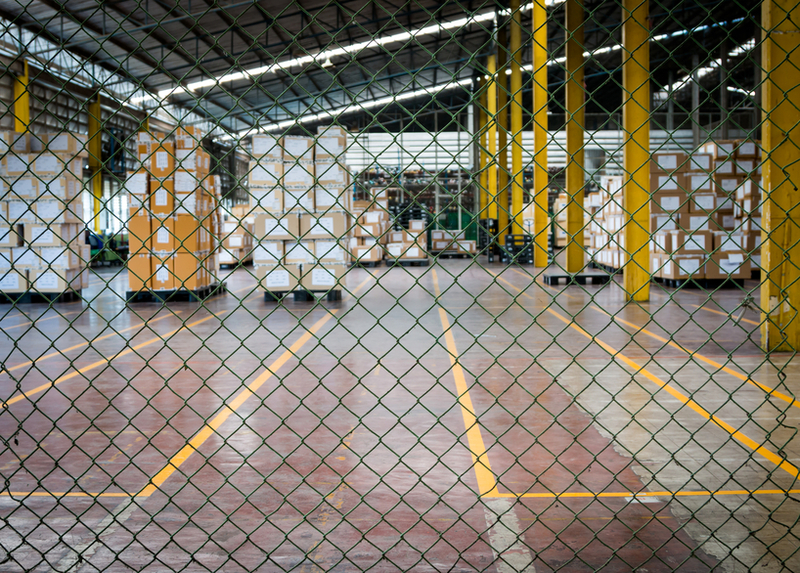 While a chain link fence can do a great job of keeping unwanted trespassers from entering your warehouse, it also has several useful applications within the warehouse itself. 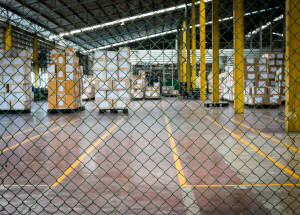 Indoor chain link fencing and gates can be an important part of warehouse security and help protect a variety of sensitive areas. Total Fence Inc. is an expert in fence installation, design, and maintenance and offers numerous options for securing your warehouse facility. Our fencing contractors can design and build internal fences that are tailored to your specific needs. For instance, some clients require full-height internal fencing for storage pens or to create small, closed-off sections around controlled items and chemicals. Other clients desire drop-off/pickup enclosures to help organize loading bays. Various materials, mesh filler, and other options can be used to better customize the fence in order to meet both security needs and aesthetic concerns. Gates and barriers are an important part of any security fence arrangement. Among the possible forms of gating that can be used are integrated locks, tube clamps, and barrier systems, which can be used to secure locations and provide bulwarks that keep any vehicles such as HGVs or forklifts from inadvertently backing onto bystanders. Other options include top-hung sliding gates and doors that allow quick and easy access to restricted areas and simplify the task of repeatedly moving large cargo in and out. Of course, traditional gate systems are also available. Total Fence Inc. has the knowledge, expertise, and talented fencing contractors to help security-minded warehouses find and install the most secure and durable chain link fences and interior fencing possible. As the leading fencing company in Toronto, we can give you the most effective evaluation, most precise and affordable estimate, and lend our expertise for more detailed fencing work like creating separate customized enclosures, specialized gate arrangements, barriers, and more. Contact us at 416-239-5362 to speak with a consultant and learn more.